Credit Unions are competing for market share, and require a cost-effective, flexible, scalable solution with personalized and focused services for members. CorePlus provides a solution which will enable you to scale, onboard, reduce attrition and deliver a market-leading service to your customer no matter the size of your Credit Union. 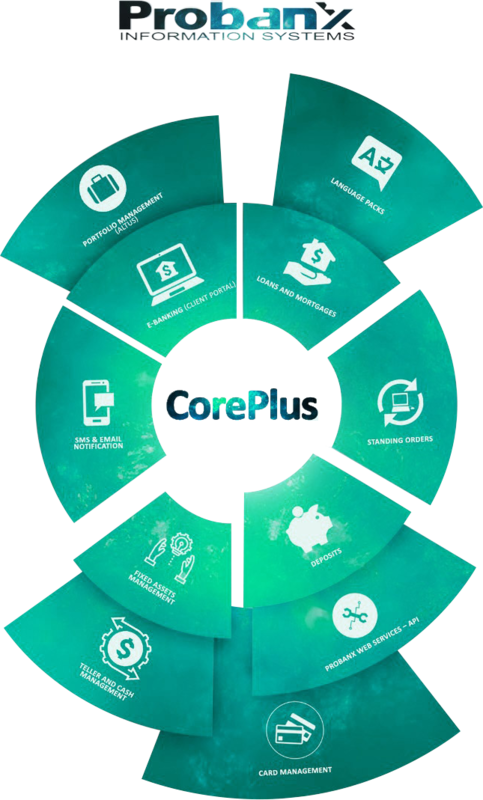 CorePlus takes your digital channels to the next level and delivers a complete customer experience that will put you ahead of the competition. CorePlus-Connect (ISO 8583)- Integration between the ATM/POS switch and CorePlus Banking System. Probanx CorePlus is available via a cloud-based delivery model. Cloud offers a scalable, manageable technology model that reduces IT hardware, maintenance, and development costs, which makes it the ideal deployment choice. The licensing option provides the same solution with the leasing purchasing option with one main difference in mind. Flexibility at the hands of the Credit Union.